Traveling by air can be quite expensive if you don’t reserve your tickets ahead of time and work with the right companies to find discounts on air flights. 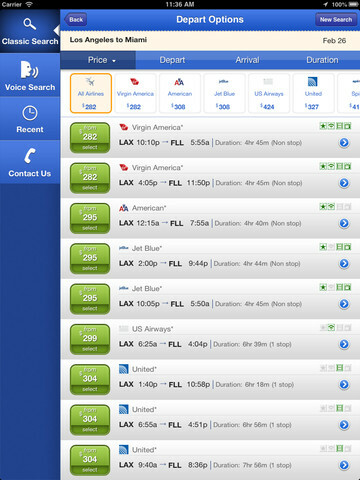 CheapAir for iPad is one of many tools you can use to get air tickets for less. 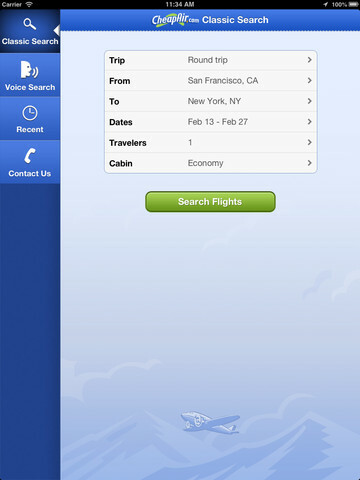 You can find low air fares by providing this app with city names and dates relating to your trips. CheapAir finds you the cheapest flights at the times that work the best for you. You can compare flights to see which ones offer additional services such as WiFi, live TV, and movies. The folks at CheapAir do offer a price drop payback program. That means if you book a flight with them and the price drops, you can get your money back. CheapAir is not always the fastest but when it works can be quite useful. It is worth trying if you are hoping to save some money on your next air flight.